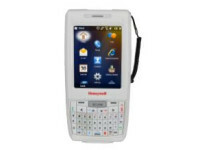 Honeywell’s ScanPal®2 is a compact, portable data collection terminal designed for daily use in applications such as inventory/stock control, shipping/receiving, and more. 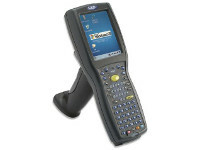 The ScanPal 2 is designed for all-day, everyday use. The compact design allows the user single handed operation, ease of use, and durability. 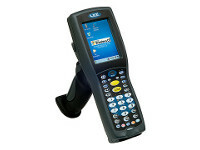 A brightly lit LCD graphics screen with built-in contrast control allows the user to adjust the brightness of the screen, enabling it to be read perfectly in all lighting conditions. The font size on the display can be specified as either small font (20×8 characters), or large font (15×4 characters). Using two standard ‘AAA’ batteries, the ScanPal 2 provides over 100 hours of operation. The 1MB SRAM allows for approximately 50,000 records to be stored in ScanPal 2’s memory. 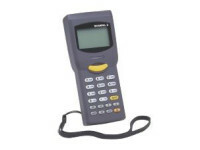 Uploading the collected data is quick and easy via RS232, IR, IrDA, or Keyboard Wedge data transmission. 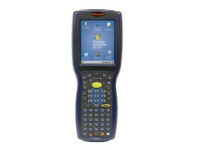 Each ScanPal 2 contains an easy-to-use, but comprehensive Windows®-based application generator and downloading utilities. BASIC and C compilers are also available for advanced programming. There are a multitude of applications in which ScanPal 2 performs including inventory/stock control, shipping and receiving, document monitoring, factory floor data collection, shelf price audits, price checking, asset tracking, warehousing and distribution operations.